For the next Tax season, your needs are our priority. That is why we have expanded and improved our team Technical and Tax support. We now have the most prepared team 24 /7 working for you. Below is a brief description of who will be entirely at your disposal. For 18 years he served as ‘Tax Law Specialist’ for the IRS building up an impressive experience as an instructor and provider of direct assistance to US citizens in embassies, consulates, military bases and entities of the Federal Government abroad. Having played in over sixty cities around the world and considering him ‘master teacher’ at the Internal Revenue Service, collaborates with Tax Education Group since 1999 and now puts his knowledge at your disposal to provide the ‘contributory support’ they need. Her vast knowledge in the field of Information Technology adds modernization and development potential to our team of ‘support’. As a contributor to Tax Education Group and user of TaxWise since 2004, she now provides ‘customer support’ to all of our customers. Glorimar expertise its here to serve you. 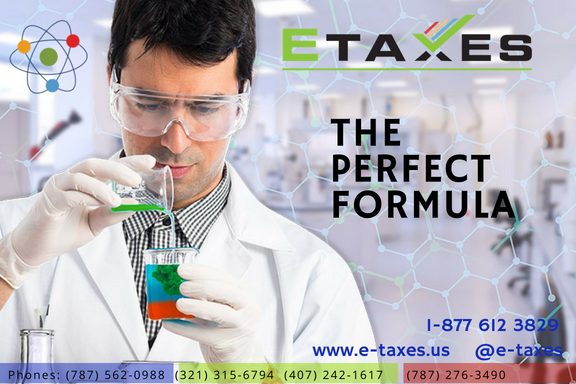 Excellent administrative assistant Tax Education Group since 1999, evolving her performance provider customer support, account manager and tax preparer in Taxes of PR and E-tax en Familia, our prestigious brand. Today, Eymirian puts her experienceto serve you at our support team. With a Degree in International Trade and Management on Digital Marketing and Social Media, working with E-taxes order to create advertising campaigns that will lead to success. We will work with the team members and customers to determine the best and most creative ways to advertise our products and/or services. Her goal is to assist our customers in their growth and development by constructing meaningful plans which are compatible with their business goals. By successfully managing the team, she is in charge of designing and implementing a strategic that expands our customer growth and their satisfaction. Technician in advertising that will be on the lookout for our customers to help with the process validations with the IRS and the Banking Product. Our team brings extensive experience in marketing to help our customers in their processes and increase customer advocacy. With a Degree in Business Administration, new in our team providing customer support in all processes, validations with the IRS and Bank products, ensure that our clients are always up to date with the installation and updates of our federal TaxWise program. He brings his knowledge as a computer technician on our team ‘technical support’ from 2017. Computer engineering student, computer technician and customer support of Tax Wise since 2014. Her performance as ‘account manager’ and ‘support experience’ will reach our support team. He specializes in network engineering and supplier of ‘support’ TaxWise for more than one year of experience. He brings his knowledge as a computer technician to our team ‘technical support’ from 2017. With a degree in Computer & Information enters our new team of E-taxes as a computer programmer. Contributing with his talent and experience our new development projects of computer platforms we will be offering. He has a degree in Computer Science Technical in Social Management and contribute with his expertise to the development of computer platforms that E-taxes will be developed for you. 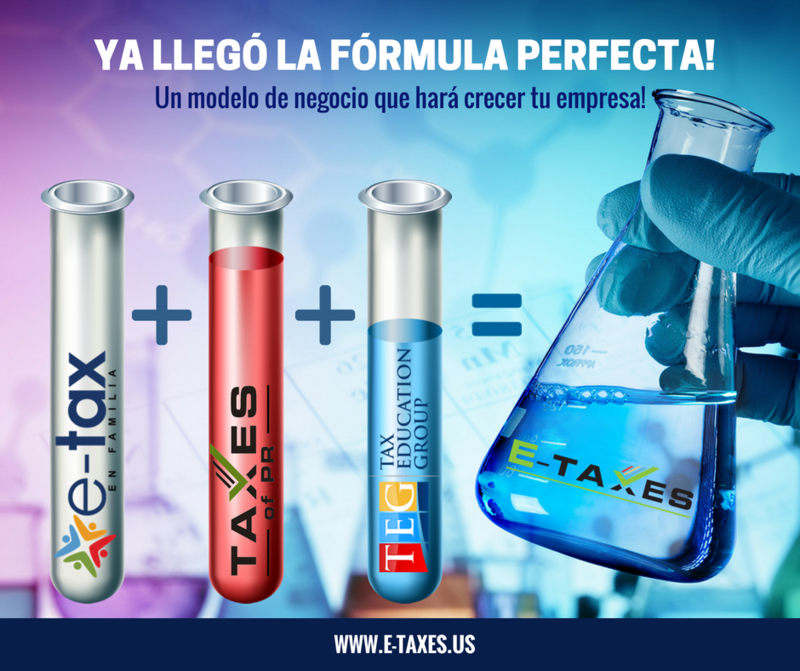 La Fórmula Perfecta te ofrece Marca, Software y Educación, tres poderosos elementos que fácilmente llevaran tu negocio al éxito. No esperes a que te lo cuenten. Sé parte del cambio Ya!